Microvast (an ultra-fast charging battery supplier) presents its new, and largest "ultra-fast" charging station for electric buses in China. Ultra-fast means 10-15 minutes for full recharge, and largest because there are 30 spots available to use at the same time - 25 ready to deliver 360 kW and 5 ready for 90 kW. The new charging complex is located in Beijing to help improve air quality. The buses are produced by Foton. Every bus uses the charging station after a few loops of operation (2-3 times a day). We wonder how many of such charging stations China will deploy in the coming years? And will we see at least one such station in the U.S. or Europe in the near future? "This now happens everyday in many bus terminals across metropolitan Beijing with the deployment of this cutting edge charging technology. Among all the ultra-fast charging stations, the newly opened charging station in Xiaoying Public Transit Bus Terminal is the largest. Located in Chaoyang district, Beijing, built by China State Grid, this new charging complex covers an area of 26,500 m2 with its structures covering 1,575m2. Designed to satisfy the growing charging demand especially from the increase of ultra-fast charging electric buses departing from this terminal, this complex provides the infrastructure to charge 30 buses at the same time. 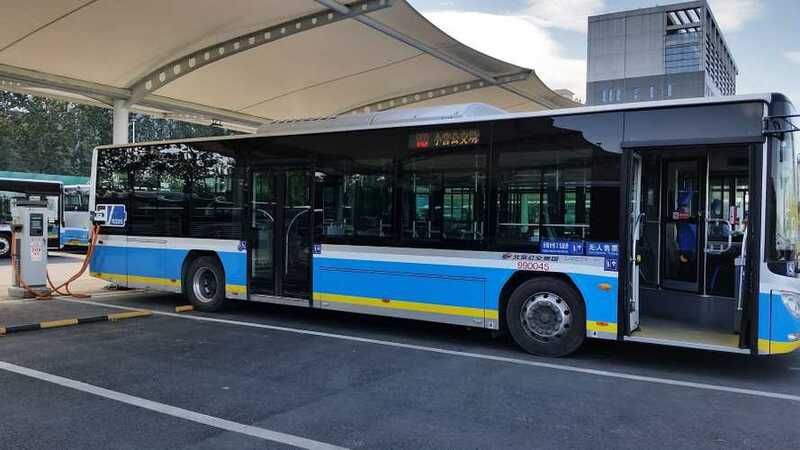 Originally a natural gas hybrid bus fleet, Beijing transit route 13 with Foton buses, like ten plus other major city bus routes departed from Xiaoying Terminal, now completely converted to ultra-fast charging full electric bus fleet. They join hundreds of other E-buses in Beijing already deployed using the same battery technology from Microvast. After conversion to ultra-fast charging technology, the Route 13 fleet has improved operating efficiency while reducing Beijing's GHG emissions. Each new bus takes only 10-15 minutes to complete recharging the battery. Charging each bus takes place 2-3 times per day, during driver breaks, with several route loops between each charge. 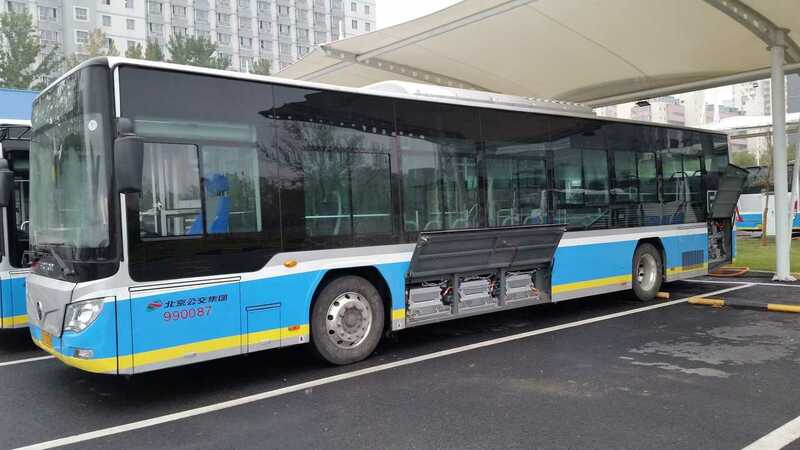 Compared to earlier battery swapping system adopted by Beijing to experiment on improving Slow-charge Battery E-bus's operating efficiency and reduce down-time, the ultra-fast charging "battery + charger" system needs neither the investment and large storage space footprint for extra batteries, nor high cost complex with automated robotic battery pack swapping infrastructure, bringing obvious advantages to customers and utility companies with more rapid ROI. With future facility and charging point expansions already planned out for 2016-2020, to accommodate more routes converting to fast charge EV, Xiaoying Terminal Charge station will play a greater role in the development of clean energy public transit system for Beijing in the near future."